Time required : 1-3 hours per week. Oaktree is one of Australia’s largest youth-run organisations. We seek guidance and are governed by our incredible Board of Directors, who have a range of experience and skills. Their work directly shapes how Oaktree grows and evolves, from setting strategy to collaborating with our CEO. We are seeking an individual to join our Board of Directors as Company Secretary. 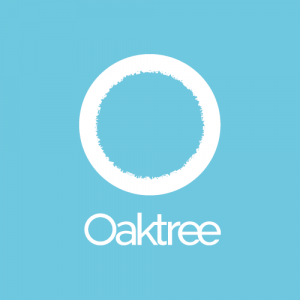 As a member of our board, you’ll play a key role in the governance of the organisation, ensuring strategy fulfills Oaktree’s mission and values. You’ll be joining a great team of current Board members, and have the opportunity to work alongside and learn from experts in their fields. If you are passionate about youth and international development, motivated and have the right experience you could be the perfect fit for this organisation. – Has a passion for young people, justice and human rights. – Values long term solutions to ending global poverty, and is committed to facilitating youth-organised change. – Works to maximise impact, seeking to innovate and learn from wins and failures. – Prioritises diversity and inclusivity within organisations. – Strives to always work with humility and integrity. – Has experience in legal, non-profit Board function, governance or compliance. – Leading Board induction processes, ensuring documentation is up-to-date and assisting new Directors with the induction process. As a youth-run organisation, one-third of our Board is required to be under the age of 27, and we encourage individuals under 27 to apply. – On average, about one to three hours a week. The Board meets 6-7 times a year and sub-committees meet ~6 times a year in our offices in Melbourne. Please quote in application: Board Member: Company Secretary via Pro Bono Australia.